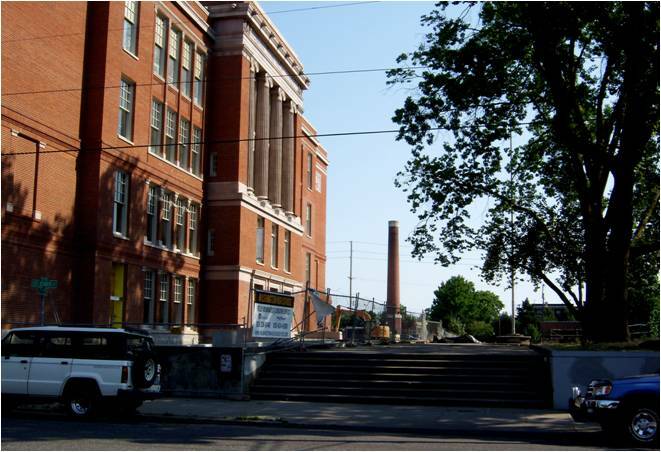 Front view of Occutopia (Washington High School in Portland, Oregon), August 2014. In this book, Occutopia is a place, but it’s also an experiment in a new way of living undertaken by people who lost their jobs or were in some way forced out the economy. 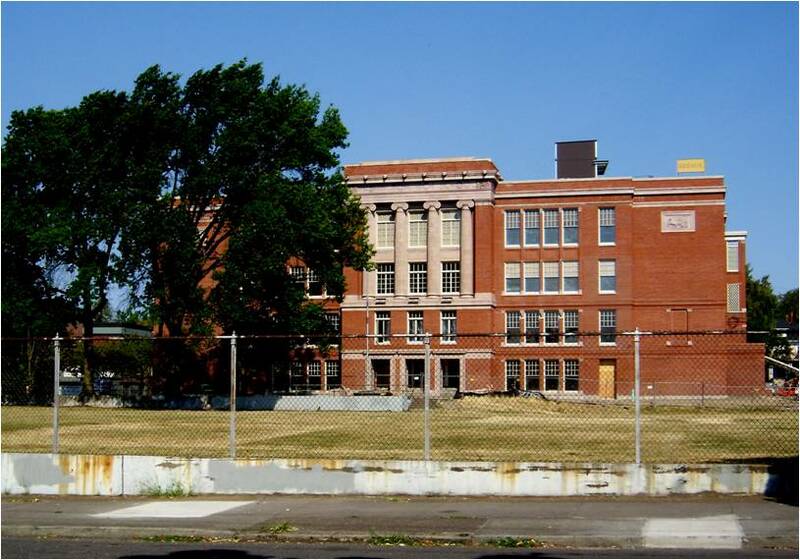 Occutopia or the Occutopia building refers to a formerly empty school building, Washington High School, which in this book, was taken over by the Occupy movement. These photos were taken August, 2014.